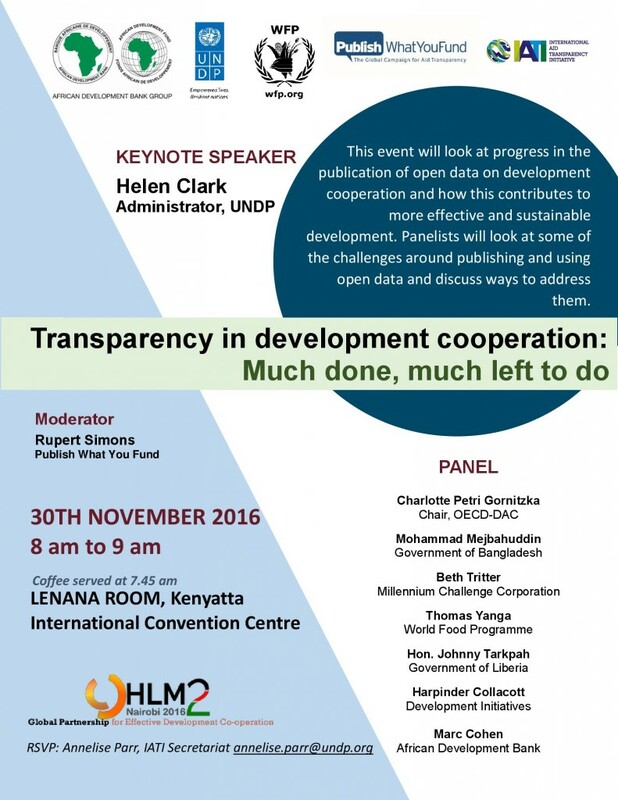 Publish What You Fund will take part in an event at the High Level Meeting in Nairobi as part of the Global Partnership for Effective Development Cooperation (GPEDC). The event is being co-hosted by the African Development Bank, UNDP, World Food Programme and IATI. It will run from 7.45 – 9.00am in the Lenana Room on Wednesday 30th November. If you would like to attend the event, please email Annelise Parr.